The Pakistan Muslim League-Nawaz has organised party’s youth wing body in Gulf States. 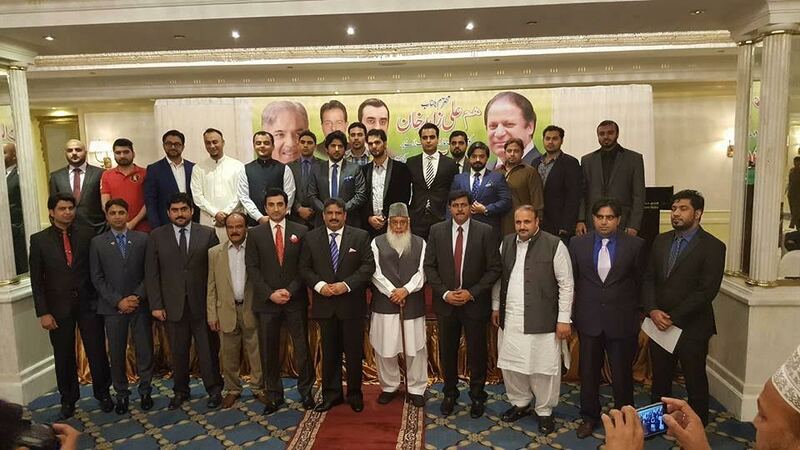 In this respect, an impressive ceremony was arranged in Dubai the other day which was attended by senior PML-N leaders, notably Overseas PML-N Youth Wing President Ali Zahid. During the meeting, all office-bearers for PML-N Youth Wing in Gulf were elected with consensus. Chaudhry Muhammad Shafi was elected as president of the youth wing and Irfan Nagra as organiser. All the office-bearers vowed they would make the PML-N’s Gulf Youth Wing stronger and more active. Speaking during the ceremony, Ali Zahid criticised Pakistan Tehreek-e-Insaf Chief Imran Khan for his negative politics and attempts to impede country’s development and progress. He said the PTI chief was unduly criticising the public welfare projects launched by the PML-N government. He said that under the leadership of Prime Minister Nawaz Sharif, the journey of peace was continuing with determination and the country was treading on the road to progress and prosperity. Zahid said the PML-N government was taking the programme of the country’s development forward as a mission and had launched programmes of billions of rupees for public welfare. He said the PML-N had always upheld decent political values, and never indulged in politics of vendetta. Zahid told the meeting that he had a lucrative career as a banker, but had left his high-powered position in order to be of service to the country. The meeting was also attended by party’s youth wing presidents from the United Arab Emirates, Bahrain, Kuwait and Saudi Arabia.